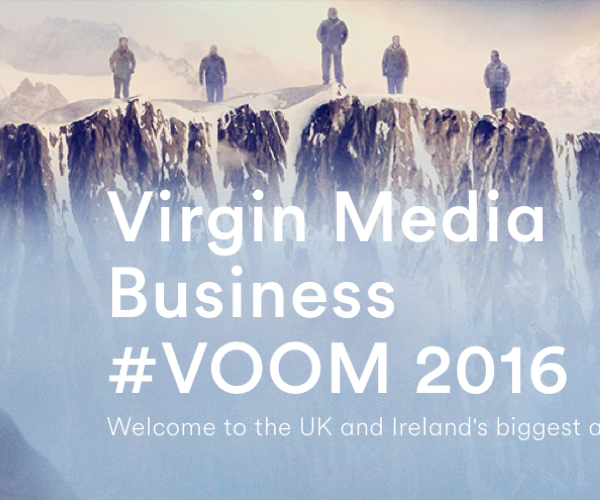 Hello, Ms Pomelo has applied for #VOOM20016 competition to get in front of Richard Branson, pitch our business and win £1m funding. Here is our pitch: we tell about Ms Pomelo, what problem we are solving, why we think we have something good and how we are a socially responsible brand. Please make our dreams come true! Please help us to get there and VOTE, it only takes a few seconds, also SHARE this with friends who would VOTE. Ms Pomelo is a new UK brand with one goal: to let fuller-chested women feel the freedom of comfort and confidence with a beautiful well-fitting bra. Fuller-busted women, despite comprising 1/3 of grown female population, are severely limited in choices when shopping for bras that support comfortably and look good. 80% of women do not know their size or how a bra should fit; most wear incorrectly-fitting bras, which heightens the issue and frustrates women needlessly. Bra health is not taught in schools and the traditional mother-daughter link used to pass down such valuable knowledge has been broken. We offer an everyday bra for fuller-busted women. It recognises a modern woman juggles many responsibilities during the day, and works for her, not vice versa. We also provide bra health education that enables women to choose well for themselves when buying a bra, rather than depending on 3rd parties. We also spotted an opportunity in the mastectomy and nursing bra segments and rolled out our first product. Our product is a time-tested favourite. It delivers a superior experience through the highest standards of design and craftsmanship. It is made from soft beautifully coloured materials and is light, breathable, and durable. Our education saves time and energy, away from an increasingly bleak retail experience. It stimulates social engagement and lets women share bra health knowledge with friends and family. This knowledge can be used anytime and anywhere, which is important as the female body changes continuously. How do we know it is a good thing? Our product has been test-driven by breast nurses of 10 NHS trusts in London and is recommended to patients. Our product is entirely European. We run a clean value chain, control our manufacturing facility, and work with small family-owned mills who pride themselves on their work as much as we do on ours. Where is our product and service available? Our products and bra health education are available online. We run regular free workshops in London. We also ship free Fit Kits that allow you to accurately establish bra size and touch the materials the bras are made of. What are our plans? Why do we need #VOOM? We started as a UK brand and aim to become a household name for an everyday plus-size bra synonymous with comfort and beauty. Our product is much-needed globally: we aim to expand to the Americas, Europe, India and Africa and we need #VOOM’s support. How are we a socially responsible enterprise? We support our communities by donating £1 from every bra we sell to a breast cancer charity. We also minimise textile waste by offering leftover fabrics in our Fit Kits and raise the awareness of textile recycling with our customers.